A big Thank You to all for coming along last Saturday and for all your hard work! 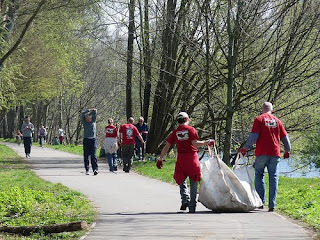 We collected 40 sacks of rubbish, 1 motorbike, 4 old trollys, loads of scrap metal and piping. A really great effort. All the rubbish has since been removed. Louise has uploaded her photographs to our flickr account, you can see them on our little slideshow below left, or visit flickr here.